Taken right after dusk, just before the sky gets too dark, and when the water on Trillium Lake was very calm. You can see the lights from Timberline Lodge at the timberline on the mountain. This is so beautiful! Happy sky watching. Fantastic capture -- everything seemed to cooperate with you and your camera for a superb shot! Happy SWF! Hope you have a great weekend! I can see the lights from Timberline Lodge on the water, too. Wonderful photo. Cool picture! and the first snow up there for the Fall! I absolutely love the reflection on the water. Gorgeous! Wow -that's a magical sight! WOW!!!!!! This is a beautiful photo. You should enter it in a photo contest. Seeing the lights of Timberline makes it that much cooler! I hope you don't mind but I posted the link to this photo on my Facebook page. It was just too good not to share. Stopping by from SWF... and so glad I am! Your photo is breathtakingly surreal and beautiful. 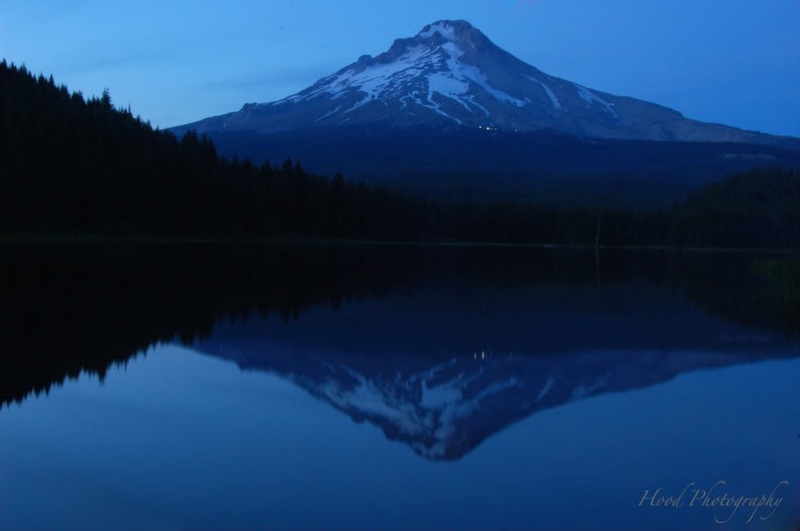 Twilight time at dusk is always a magical time and your photo exemplifies such a time frame. Beautifully done. Wonderful experience to my senses. Thank you.